For people in parts of Illawarra Forecast District. Issued at 5:11 pm Thursday, 12 July 2018. A trough over southern parts of the coast is generating thunderstorm activity. Severe thunderstorms are likely to produce small hailstones that could lead to large accumulations in the warning area over the next several hours. Large hailstones are also possible. 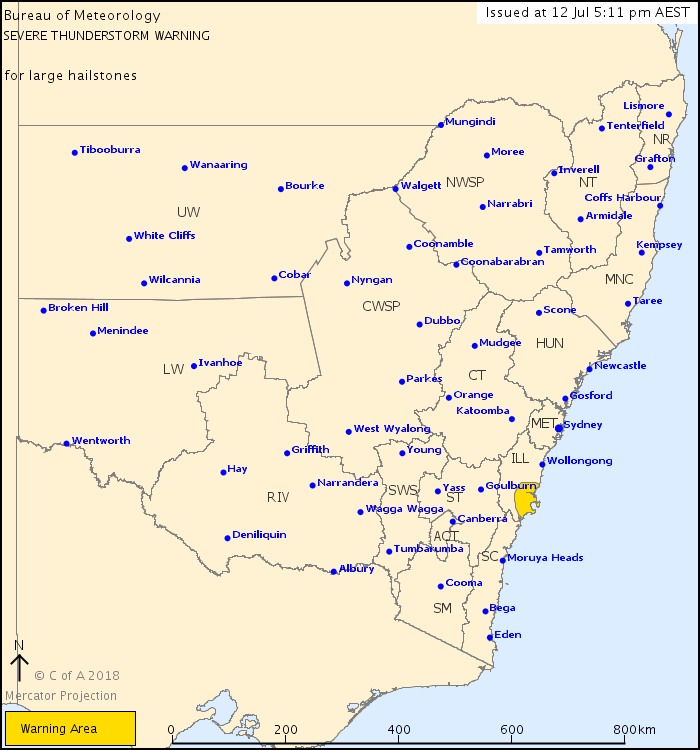 Locations which may be affected include Nowra and Huskisson.